Those simple words were the opening statement for the most recent sustainable seafood roundtable held in Bali. The goal was simple: to educate fishermen to fish responsibly Indonesia’s bounty of seafood ensuring a future for the oceans and providing better lives for those fishermen. Local communities are carrying out multiple programs to teach old and new generations of fishermen and suppliers this very important lesson: less volume, better quality, more money. Cuca was invited by MDPI (a non-profit organization operating regionally to promote sustainable fisheries and improve fisherman livelihood in Indonesia) to attend and shed light on the challenges we restaurateurs face currently working with local fishermen and suppliers. Our commitment to our customers is to ensure that the time from ocean to kitchen is as short as possible and all the steps along the way are icy cold. We need the seafood to reflect the magical pristine environment it came from and be a perfect example of the hard work that goes into making a dish the best someone ever had. No chef can revive a 5-day old fish but even a four year old can make that fish just caught, undoubtedly delicious. Now "What can I do about all this? ", you may ask. Well, lesser known fish are no less delicious so try and eat the things that are abundant. 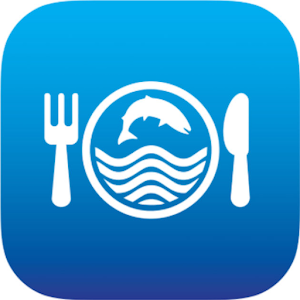 If you have no idea what you should or should not be eating the best way is to check the WWF fish guide for your county. It will probably have you shocked at what you should be avoiding and excited at what is best to devour. Wild fish taste better and are better for you so hopefully, we don’t become dependent on the manufactured chickens of the sea. Sea-food for thought!